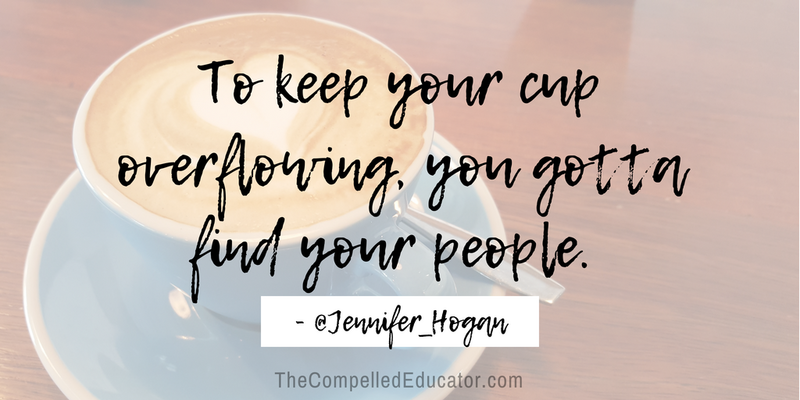 Perhaps you have heard the analogy that education is like tending a flower garden. There are times when educators can concretely know that they've had a positive impact on a students, but there are also times when we only feel like we've "planted a seed." 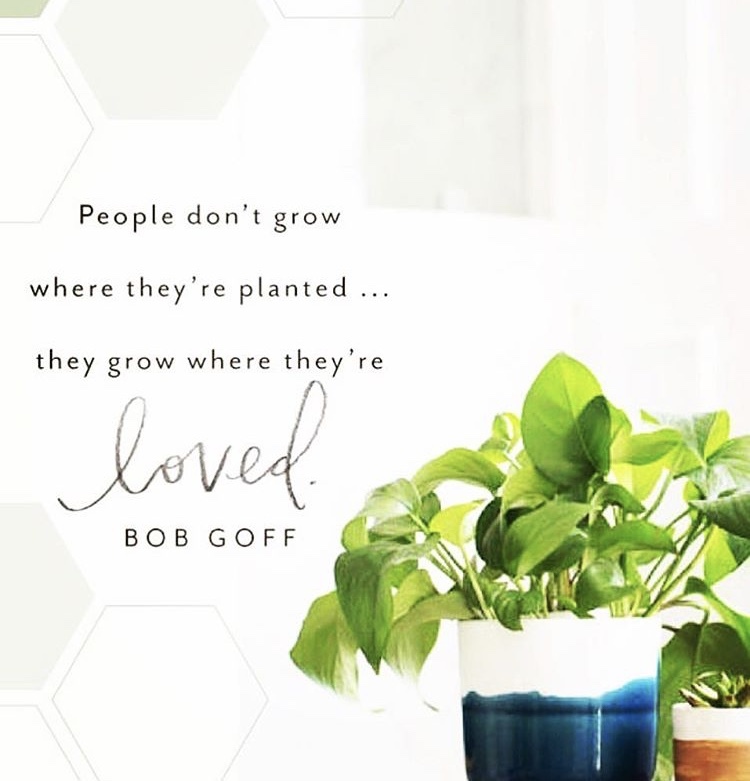 I saw this quote from Bob Goff recently on Instagram (posted by the awesome Ali McWilliams), and I got to thinking about the education - gardening analogy. 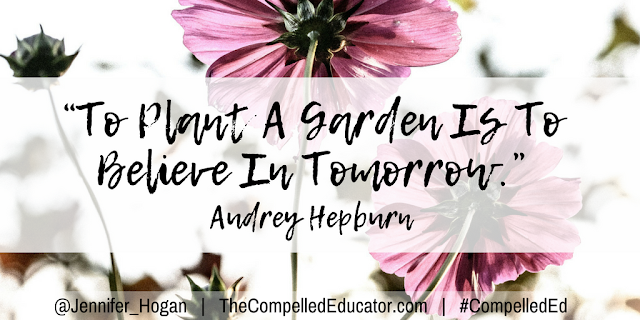 Gardeners don't just plant seeds and hope that the seeds will grow into beautiful flowers. they do everything they can to ensure that the seed has the best chance possible to survive and thrive. They deal with extreme temperatures, too much or too little rain, as well as insects and other deterrents that work against their plants reaching their full potential. Also, gardeners know the kind of soil in which each plants grows best and how much sun and water the plant needs. 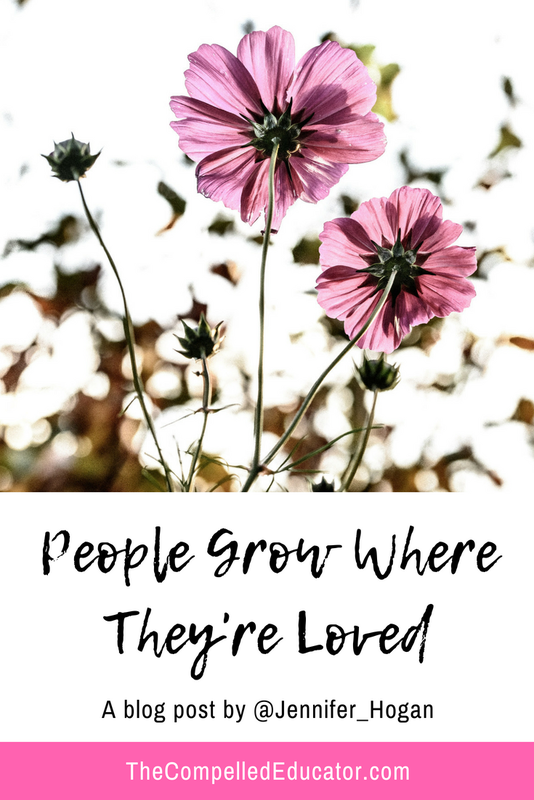 When we plant seeds as educators, we must give as much love and care as we can to the "seeds" to give them the best chances possible to grow into beautiful flowers. While we know that some people seem to be born with a green thumb and know the art of growing beautiful plants, there is a science that can't be ignored. The same goes for education. We must respect the research and science behind instructional strategies, but we must also pay attention to feelings and attitudes that contribute so much to the success of the student. Let's take out our watering can and gardening gloves and get to tending! Join me for a 15-week series of inspirational quotes each Monday beginning on September 10! Each Monday, I will share quotes and graphics that will celebrate characteristics of COMPELLED educators. The first week will be a focus on Humility. I can't wait for you to join me on this 15-week journey! In a world without social media and connectedness, we realize that what we know about others is what they show us. Their emotions, their body language, their demeanor... they are all chosen specifically to allow or prevent others to know what's happening on their inside. In a world WITH social media and connectedness, we realize that what we know about others is what they show us. Their happy times, awards, celebrations, and proud moments... they are all chosen specifically to allow or prevent others to know what's happening on their inside. We can't completely know others by what is shared on social media. And it's time to stop the comparison game. 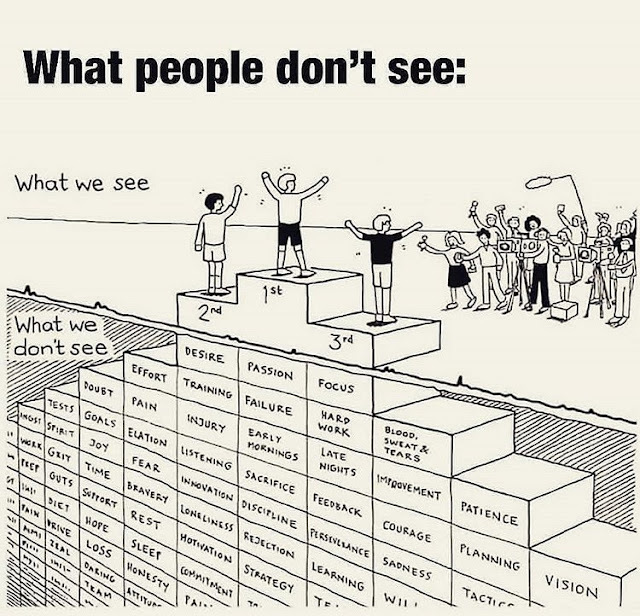 We see the fruits of another person's labor, and we may not see the journey that helped them get there. Comparison leads us down a back road of resentment and lies about our own capabilities and paths to success. 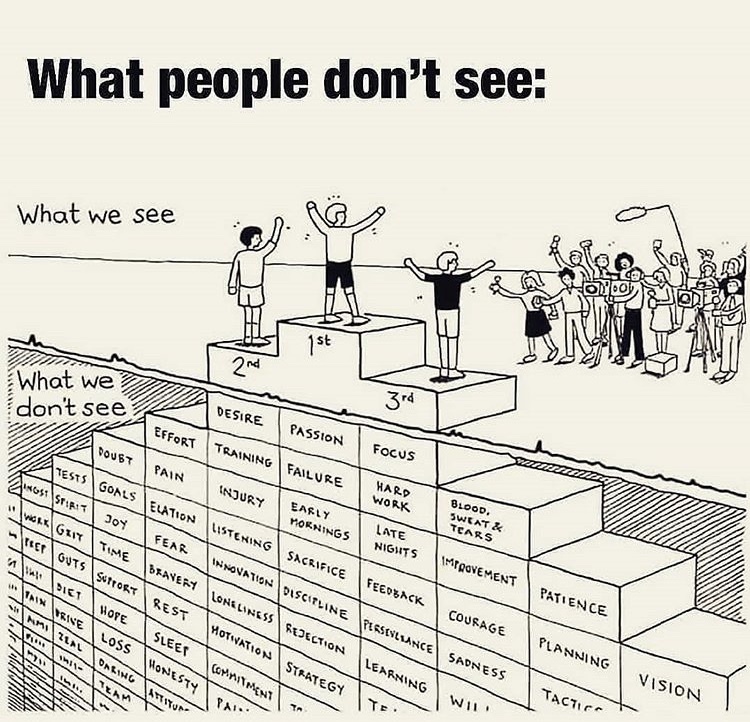 We begin to believe that our best is not good enough, and we forget to celebrate - or choose to ignore - our wins. The message that is on a continual loop in our brains must be trained to seek out our unique gifts and talents so that we hear positive messages instead of negative ones. Avoid the statement, "I'll never be as ______ as him/her." Try celebrating the other person, then give a compliment to him/her. Follow up with a positive message to yourself about your abilities and gifts. We are all on our own journeys, and we must remember that we only see what others want us to see. 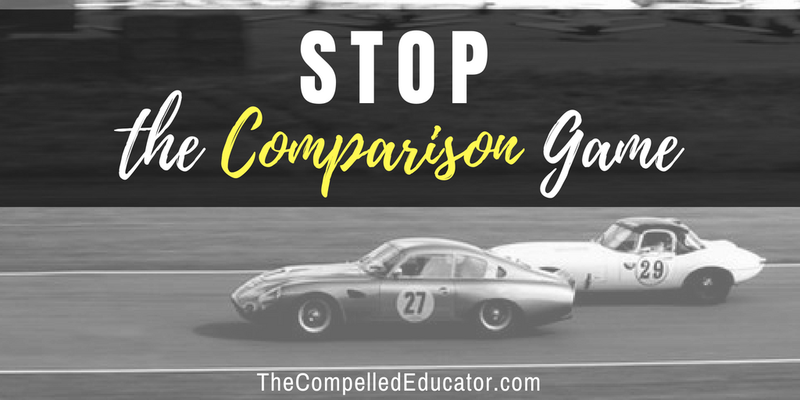 Let's stop the comparison game and use our individual strengths to come together for the greater good. Let's focus on being the best version of ourselves that we can be. We all matter, and the world needs each of us. Growing up, I always loved playing team sports more than individual sports. Whether it was during PE class, school teams, club teams, or neighborhood games, I really enjoyed having teammates, doing well for them, and working together to be successful TOGETHER. As I’ve gotten older, I find that I still enjoy an environment of teamwork and camaraderie. Getting to know myself better as I've gotten older has also helped me to realize just how important a team environment is for my productivity, creativity, and I might even venture to say my sanity. 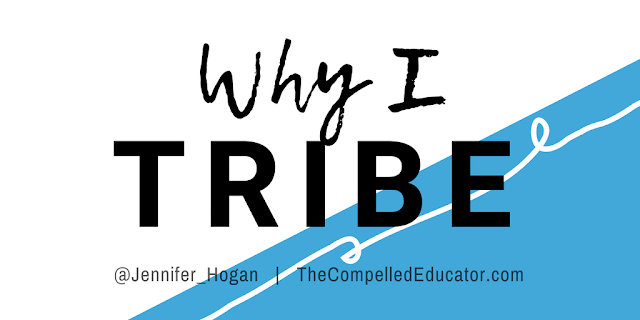 It’s one reason I love working at Hoover High School, and it’s the reason I felt a sense of urgency for creating the Compelled Tribe. 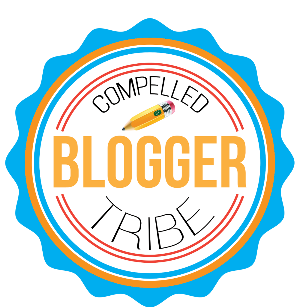 +Increased Motivation - Having “accountability partners” keeps me on track and motivated to continue on this blogging journey. They remind me that my voice matters and that I have something to contribute to make the world of education better. 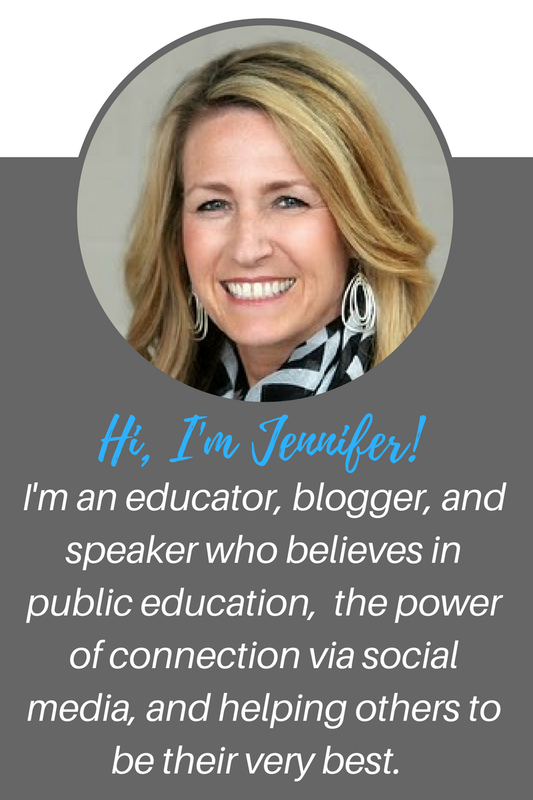 +Constant learning - Reading members’ posts teach me something each time, and I continue to learn about myself through reflection and feedback. +Problem-solving - Bringing expertise together is a great way to get ideas, share insights, and figure out solutions to problems. +Support and encouragement - We all have “those days” where we feel unappreciated, overwhelmed, and defeated. Tribe members provide the awesome reminder that we are appreciated, loved, and respected. I love that we are rising tides for each other. Jim Rohn says that we’re the average of the five people we spend time with the most. This includes real-life and online relationships. It's important to be very intentional about the people we surround ourselves with, because we must ensure that the relationships we have and keep are those that continue to lift us up and help us to be the best that we can be. The Compelled Tribe is full of members who do just this, and I feel very fortunate to have them in my life. How do you create teams in your life to support you? What teams are you a member of? 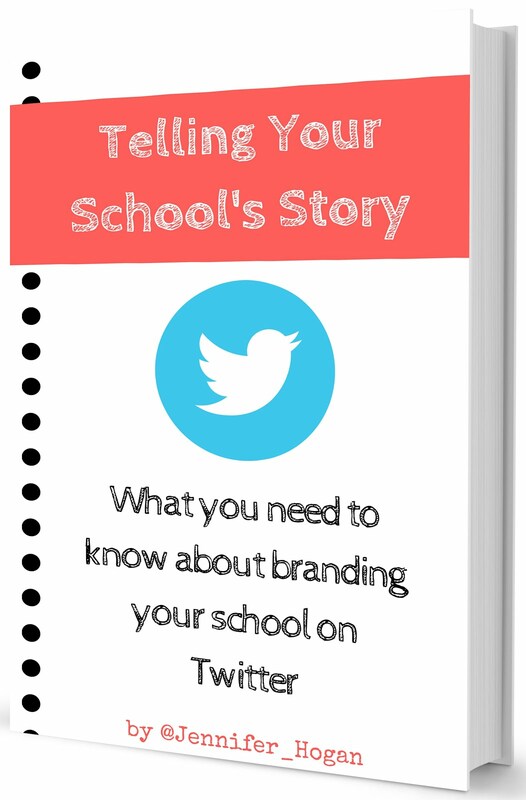 Leave me a comment below or reach out to me on twitter and use the hashtag #CompelledTribe.